A Raw food diet is one restricted to ‘raw’ plant-based foods, often referred to as ‘living food.’ Cooking food is considered ‘killing’ it. It is imperative for raw foodists to combine their food just right, in order to prevent digestive pain and discomfort and to ensure they are reaping the full health benefits of their food. So in other words, there is an art to eating raw food, and if you attempt to take this on without the proper instruction on the principles of healthy food combining, you will not be practicing it to its fullest. A raw food diet and proper food combining go hand in hand. Even among the raw foodists community, they too have their own concession to the rules, for example, some never even heat the food, while others will heat up to 100 degrees. Some eat nightshades, others do not. So, like all things in life, no rule is written in stone, everyone customizes to their own preference or need. From childhood into my early 20’s I was as skinny as a rail and I ate everything and anything I wanted. When I was about 18, an older girlfriend of mine told me that if I kept eating the way I did that when I hit my 30’s everything would change (hormonally speaking I’m sure) and that I would become FAT! Well that didn’t faze me the least. I was young & skinny and didn’t care about watching my diet. She was right though, because when I did hit my 30’s I could not continue to eat that way without gaining weight. I attribute this to how our bodies are designed and how we change with age. I guess what I’m saying is that I certainly don’t believe it’s because we don’t practice food combining that our body change, do you? Eating right is the best prevention from illness and disease and the sooner we practice it the better. Mothers teaching their young children this would be ideal, but unfortunately this is not always the situation. For most of us, it isn’t until we reach middle age that we realize we need to make changes. This is the time in our life when we start feeling the adverse side effects of not taking proper care of ourselves. It’s believed by many that if we just get ourselves back into balance, you know…cleansed, detoxed and started eating right, that we would all get back into sync and would no longer suffer from symptoms and disease. You know, that sure sounds like it makes sense, but how realistic is that? We are all individuals and we have outside factors such as stress, emotional distress, relationship troubles, the polluted air that we breathe, the contaminated food that we eat, hormones and steroids that are in much of the food and drink that we consume, and much, much more, that affect us each in our own unique ways. And for this reason, I believe that no matter how hard we strive to get our bodies and minds back to the pureness that God intended them to be, it will simply not happen. It’s not possible because this is not a perfect world that we live in. We can certainly aspire and work towards achieving the healthiest minds and bodies possible, but we will never be completely exempt to illness or disease, some things are out of our control. What we can achieve is control of our lives and become aware and concerned with what we put into our bodies. This self-control is all we have. If we do not attempt to listen to our bodies talk, and if we choose to believe all the lies we are told about what is good for us and what is bad for us, then we are only hurting ourselves. No one else can listen to our body talk because they cannot hear it. Therefore their opinion is merely conjecture or a process of elimination. My thoughts on food combining or any diet plan is that they are becoming an American nightmare. Look around and you’ll see that we are facing an epidemic of diseases that continue to be blamed solely on genetics, we need to wake up and quit lying to ourselves. What we put into our bodies is crucial. If you ask me, food combining is the least of our worries. God gave us common sense to prevent the wrong food combining. For example, have you ever had the inclination to have a liver and milk breakfast shake? Have you ever wanted sautéed spinach and bananas? If so, you may be an alien! 🙂 I believe our body will tell us what it likes and what it doesn’t like. We are unique, and as I mentioned earlier, outside forces affect each of us differently. As I talk about in my book, traditional medicine only puts a Band-Aid on the problem, and causes other problems that will surface later on down the road. It adds more toxins to our body, does not cure the cause and allows the problem to return bringing more with them! And diets don’t last. The ME-gan Lifestyle centers around the foods that were put here by God; fresh fruits and veggies, grains, nuts, seeds and legumes. These provide us with the right nutrients to build a strong immune system that can prevent and cure disease. 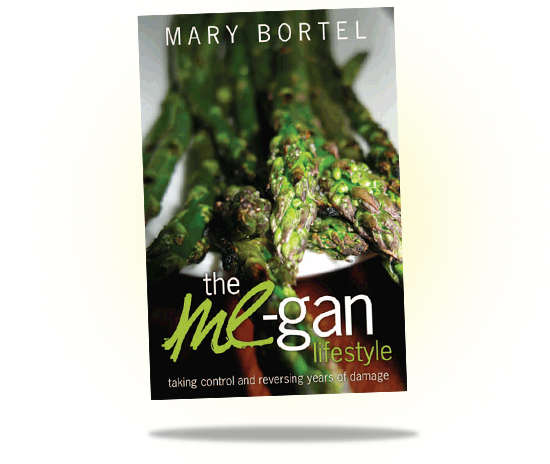 In the ME-gan Lifestyle, I share my personal healing experiences; food truly does heal. Ask yourself if you are ready for a lifestyle change; one that empowers you to take control of your life and what you put into your body, thereby reversing years of damage caused by chemicals, medications, abuse, illness, stress, and much more. Ask yourself if you are ready to put healing foods to the test. If yes, then The ME-gan Lifestyle is waiting to lead the way for you. Eat but one kind of protein food at a meal. And then there are Harvey and Marilyn Diamond who popularized food combining with their book “Fit For Life.” Simply put, the Diamond’s Fit For Life theory teaches that when foods are combined inappropriately, they become rotten and cannot be absorbed from the intestinal tract. This in turn toxifies the body – which ultimately makes people fat. 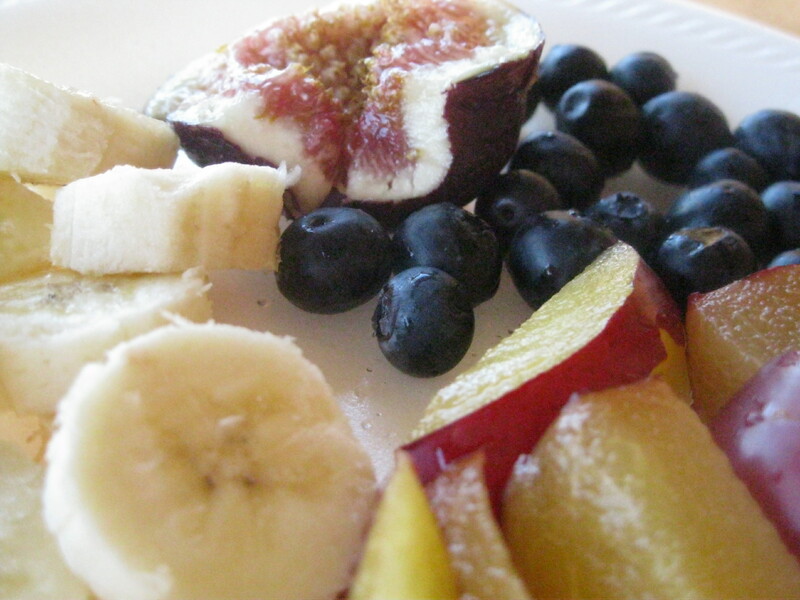 Principally, according to Fit For Life, we should eat fruit from early morning to noon. The reason being is that it helps cleanse our system by facilitating the ‘elimination’ process. We should always eat fruit alone. Lunch and dinner can consist of a carb based meal which would be grains, beans and veggies OR a protein meal, consisting of protein and veggies. Never combine a carb and a protein as they will battle it out in your stomach and then become toxic. Dairy food & refined sugar is banned and although fruit is good, it must not be consumed at the end of a meal. I find this a little peculiar since I’m familiar with many cultures who’s traditions are to eat fruit after a meal; and consquently these cultures seems to be among the most fit. Go figure, right? Harvey and Marilyn’s book goes on to claim that people gain weight because they wrongly combine protein rich foods with starchy foods, and not for the common beliefs of overeating and too little exercise. It also says our digestive tracts cannot assimilate more than one of these “concentrated foods” at a time, since the enzymes that digest protein nullify the enzymes that digest carbohydrate, and vice versa. Food combining in general has a broad base of beliefs. There are several out there and they all have their own unique variations to the rules. In other words some people say ‘this’ and others say ‘that.’ They all believe, however, that in order to get our digestive system in the optimal condition it was designed to be, we must learn how to combine our foods properly. Proteins play a role in every cellular function; they regulate muscle contraction, antibody production and blood vessel expansion and contraction to maintain normal blood pressure. Protein is a critical part of our diet. Fats are also crucial to our diet. We never want to eliminate fats completely, that would be very unhealthy and besides, our hair would fall out! Fat provides a major storage form of metabolic fuel, and when fats are broken down they provide us with energy. Fats facilitate the use of essential fat-soluble vitamins and it also stabilizes blood sugar. Unsaturated fats help lower cholesterol levels. Proteins and fats can be eating together. Carbohydrates mostly come from plant sources rather than animal sources. They breakdown into glucose, which is our body’s main source of energy. Completely eliminating carbs from our diet is dangerous, and unfortunately I see many people trying to do this in an attempt to lose weight. What we all need to learn is that all these rules really need to be taken in context! We can’t lose sight of the whole picture of how things work in relation to others. Eliminating refined carbs such as white flour, white rice and sugar would be ok, but we should enjoy abundantly whole-grain pastas (yes..gluten free grains are included), and cereals. Complex carbs that provide us fiber and roughage are necessary for our digestive system. Since carbs make us feel good by releasing the hormone “serotonin,” you can understand why eliminating carbs completely could lead to depression. Still, you must be careful not to load up on the wrong carbs: mac & cheese, pot pies, etc. – get the idea? Any carb can be eaten with veggies. Vegetables are basically carbohydrates but low in starch and cause minimal rise in blood sugar. There’s an elite group of veggies that do not fit into this category. Veggies are filled with vitamins and minerals and provide essential roughage for proper elimination. We should eat these in abundance. 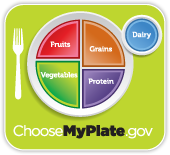 All veggies can be eaten together and can be eaten with either group – carbs or proteins. Fruits also are carbohydrates but must be eaten alone due to their sugar content. They too are high in fiber and help keep our digestive track going. They are full of nutrients and vitamins but this can be lost when mixed with other foods. Any fruit can be eaten together. Some foods are items that offer no conflict and can be eating with all groups: soy sauce, vinegar, mustard, and herbs & spices. Lemons and limes are also no conflict foods even though they are fruit, they are low in sugar. Is your head spinning? Mine is! On the other hand, like most issues and topics, there’s a flip side to food combining as well. Many believe that there is not enough scientific or clinical evidence and that food combining contradicts our knowledge of physiology and nutrition. It is also widely believed that food combining does not promote a balanced diet and may cause deficiencies in zinc, vitamin D, vitamin B12, and others. As I mentioned in a previous post, food combining is considered to be crucial to a raw food diet. I will go into this in more detail tomorrow in Part III. Food combining? Seriously? All these years and I’m just hearing about food combining, ha! What’s the matter with this world? It would be nice if we were taught from a young age, when education actually begins, the importance of eating healthy, and not just in spurts as these ‘fads’ fade in and out. I mean, if food combining truly has such an impact on our digestive systems, then why weren’t we taught about it sooner? As a child, I remember being taught the food pyramid. You know, the one that after all these years just got re-structured (June 1, 2011) by the US Department of Agriculture and it cost 2 million tax dollar$ to redesign it into a plate, which looks like it was done by Fisher Price. Every time we get comfortable with the rules, they go and change them on us. I’m finally wising up and not falling for it. If we haven’t learned by now that not everything we are told is true, then we’re not paying attention. This plate sure is pretty, and it sure makes sense, after all balance is what it’s all about. But what makes ‘IT’ the truth? And besides what was wrong with the old pyramid? Who exactly is this plate designed for? Wait 3 hours between meals if switching from a protein/fat meal to a carbohydrate meal or vice versa. Food combining is very intriguing and most people don’t even know about such a thing. Recently, Lee and I attempted to go to a raw food diet for one month, but after the very first day we started, we changed our goal to a week. The next day we changed it to 3 days, and to tell you the truth, I’m pretty sure we didn’t make it through day 3. It’s very difficult, and there are rules to it. It’s a skill, just like art and requires knowledge and commitment. Food combining is crucial to a raw food diet, who would have thought? You can actually get sick if you do not know what you are doing – it’s true. It’s not as easy as eating carrot & celery sticks all day. During our raw food trial, Lee and I made raw lasagna which was totally to die for! The only problem being that is was not easy. Oh my goodness, we were in the kitchen 3 hours making a small pan of lasagna. A lot of work, a small amount of food, but the taste was amazing. So my hat goes off to raw foodists – I believe it’s the ultimate in healthy eating, but definitely takes passion and dedication. As I say in the ME-gan Lifestyle, there are endless diet plans available, and I’m sure they all work, just try to stick with one – that’s a different story! Diets don’t work…only healthy lifestyles do. We need to find what works for us by listening to our body talk. Food combining, no matter what your style of eating is, is very important, and I believe it should be taught in schools. We should all understand how our bodies work and how food is processed. If we were taught nutrition in schools, we’d have the knowledge of a trained nutritionist and we’d be far more aware and have much more concern for what we put into our bodies. Mom telling us to “eat your vegetables, they’re good for you,” isn’t enough for us to understand the importance of it. However, there is far more to food combining. I will go into more detail in Part II. Hope you’re all enjoying your Sunday. Today’s lifestyle has introduced many diseases to the world that are directly related to our current style of eating and drinking. Whether people realize it or not and whether they believe or not doesn’t change the fact that it’s true. In order for change to happen, in order for us to overcome all these symptoms, illnesses and diseases, we must take control of our lives by getting back to the basics of health & healing. It’s all here for you in The ME-gan Lifestyle. It is up to you to make the choice to accept and embrace change. Say to yourself that you are ready for change and that you want to do something about your health! Find YOU again, the person you lost long ago! Don’t delay. God wants us to have life in it’s fullest…let’s oblige! As I say in my book, our body is smarter than our mind. Our mind doesn’t stop us when we put junk food in our mouth, yet our body, once it realizes that the food is not good for us, starts rejecting it through reactions such as symptoms and illness. The way our body processes stress is similar to how it processes unhealthy food. Our mind may think everything is ok and we may even be under the false pretenses that we are actually handling stress quite well, but our body on the other hand screams out “What the heck? All this stress is killing me!” and it starts to react. This is when we begin to experience such things as migraines, anxiety, panic, depression, high blood pressure and other symptoms and illnesses. So, although we think we are calm, cool and collected, we need to think again. Watch for signs and be sure to take action quick. Listen to your body when it talks. Stress does not only cause such things as mentioned above, but ultimately it may cause a heart attack, stroke, or even death. One way to properly deal with stress is to be well rested. When we get a good night’s sleep, our bodies are fully charged and better prepared to face the day. Of course eating right and drinking plenty of fresh clean water, and getting plenty of exercise will get and keep our mind and body in optimal condition, thereby boosting our immune system. A strong & healthy IMMUNE system battles our ‘demons’ so to speak! Remember being a kid and singing “your head bone’s connected to your shoulder bone, your shoulder bone’s connected to your back bone, your back bone’s connected to your hip bone…etc?” Little did we know just how true this song is…literally, everything is connected to everything in our body. If one thing is negatively affected then a chain reaction is set into play. The sooner we take care of ourselves the sooner that unhealthy, negative chain reaction is put to an end. Last night for dinner I made vegetable stir-fry rice from the veggies I bought from the farmers’ market on Sunday. The veggies I used were : fresh baby carrots, daikon radish, green onion, kohlrabi, left over roasted golden beets, plus the greens from the radishes and the kohlrabi. I boiled the greens to soften them before adding them to the sauté. I blended it with arborio rice and served with black beans. This was amazing…full of flavors and plenty of health and nutrition to go around! Eat well, live well, be strong and keep the faith. Life is for living…so live it as best you can. I have truly loved writing this blog over the months. I’ve gotten to know many new people and have treasured their feedback. Making my dream come true and having my very first book published has been fulfilling in words beyond expression. The ME-gan Lifestyle is in its infant stage and I need your assistance in helping it grow. Please visit my new “Thank You For Your Support” tab. Success doesn’t come easy, and it’s never free. Success does not come without struggles. We are not meant to face these mountains alone, God is always with us and with the help of others, we pull through. A friend in need is a friend indeed. Thanks for your faithfulness and support. …and I mean WELL as in healthy and happy, not ‘wealthy.’ Who wouldn’t take health over wealth? I certainly would. I would take health over anything. To go through life, as Joe Cross put it, fat, sick & nearly dead is no way to live. Think about all the outdoor activities there are, to name a few: hiking, biking, roller skating, walking, running, jogging, visiting national parks and zoos, horseback riding, camping, etc. There are many varieties of outdoor enjoyment all over the world. Can you imagine living in Germany or Switzerland? The views alone are breathtaking, who wouldn’t want to be out and about doing as much as possible outdoors there? 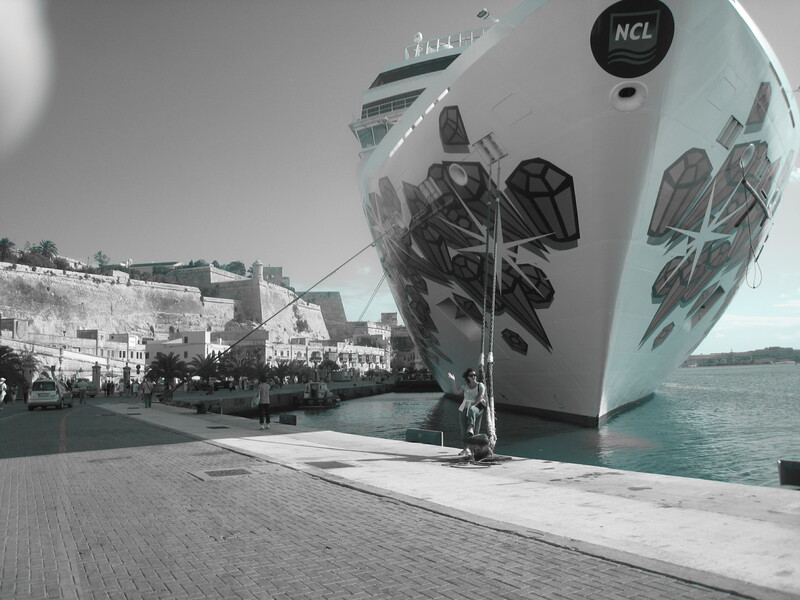 There’s much to see in this world and there’s only one way to do it and that’s by traveling. Again, it’s hard to travel when you’re dealing with extra weight and illness. It’s almost impossible for us to do anything without our health. If you are in a ‘not so’ healthy state right now, you need to make that choice of whether or not you are ready and willing to reclaim your life. Today for breakfast I enjoyed a bowl of gluten free Chex with almond coconut milk and fresh organic fruit. Not sure what’s for lunch or dinner, but I’ll figure that out later. See, I eat to live, not live to eat. Soon we will do our 2 mile walk, and the rest of the day we will be doing our best to take care of business. A typical day at Bortelino Productions! Every day we strive to do our best. And we must remember that life is not only about taking care of ourselves, but also those we love and who need us. With each other to take care of, 4 children and 4 grandchildren, Lee and I have many reasons to keep ourselves positive and healthy. It all begins with an uplifting and positive mental attitude. Ask yourself: What do you want out of life? What do you want from yourself? Do you need change? Do you want change? Are you willing to work to achieve change? Do you want to feel better, look better, and stop depending on medications? Do you want to stop your obsession for all the wrong foods? Once you are clear in your mind and true to yourself, you will begin to answer these questions and before you know it the wind of change will be blowing. You cannot achieve anything in life if you can’t imagine yourself doing it. So visualize yourself where you want to be, and then go after it. Don’t stop until you get there. Great outdoors love to you! I can tell ‘some’ people over and over again to JUST BEAT IT, but they refuse to listen. MAYBE they’ll listen if I change the spelling and say “JUST BEET IT.” Ya think? Beets (Click here to read more about “Beets” or check out Livestrong.com’s site to read more about beets), are not only delicious and pretty, but do supply great health benefits to our overall well-being. I told you that I would post pictures of dishes we made from our run to the farmers’ market on Sunday, and we’ve already made two very unique (both in flavor & taste) meals, which also supply health and nutrition. One of these meals we made today which is simply – roasted beats. The other dish I’m holding out for my cookbook! (oooh…. luring you into buying my cookbook…what sneaky tactics…shame! shame!) But, nonetheless…as promised, I have pictures! But let me tell you, as simple as “roasted beets” may sound, and be, there is no simplicity to their taste, flavor & nutritional benefit. Let me describe the steps I took in roasting my fresh beets. Let me say, first and foremost, that my daughter Natalie, who works at a Marriott resort, suggested that I ‘roast’ the beets instead of boiling or steaming them. She is an AWESOME chef who one day will be a leader in the industry! Following Natalie’s instructions, I poured olive oil into a small pan (I used a round cake pan), then I trimmed the beats, washed off all dirt, placed them in the pan and then seasoned them with Italian seasoning, garlic powder, thyme and my new lavender pepper. I baked them at 400 degrees for 30 minutes, and that was it! You can peel the skin before eating, or as I have found out…eat them with the skin on! I found the roasted skin to be DE-LISH, just as I eat the skin on my baked potato. But I’m sure some will prefer it on, as others will prefer it without. You choose, because YOU are in control of YOUR LIFE! Early this morning, before getting out of bed, (as most mornings, Lee and I like to watch a little early morning news before moving into the business world), one of the commercials airing was about this new ‘diet’ plan that delivers meals to your home. This is no new concept, but just another ‘PLAN.’ This 60 second commercial truly struck a 10 minute conversation with us. We both just find it amazing that some people are so lost, so far gone and so desperate that they will hire someone to tell them when to eat and what to eat; they will pay to have the pre-packaged meals delivered to them. These ‘purveyors of poor health‘ & ‘masters at enabling‘ fail to tell you (the buyer) that they are truly making money off of your laziness and lack of self-motivation. They have eagle-eyed a market that will never change and have honed in on it. Genius? Not really… just obvious. The point of this being not our observation of the ‘obvious,’ but rather the sadness of the entire situation. We all have our own trials and tribulations to deal with, without enablers coming along and sabotaging our “slight to none” chance of succeeding in our strive for self-help. And that’s all these ‘diet plans’ are doing, they are enabling overeaters to continue on their road to self-ruin. We need to teach people to get out and research food, heath, nutrition, etc. on their own. Get out into the world, shop for your own food, buy your own food, clean and prepare your own food. Be responsible for what you eat, and be responsible for your own condition! Take ownership of your situation and depend on no one but yourself to get YOU out of your unhealthy situation. I actually know someone, near and dear to me, who confided in me that one time they were so desperate they bought into one of these meal plans that deliver meals to your home. They had purchased 1 month of food up front, and literally ate it in one week. OOOOOPS! Do these commercials raise that issue to you? Do they advise that if you eat your months’ supply of food in one week, you are on your own and will need to buy more? And that sought after results may not be met? See what I’m saying? No plan, no gimmick, no NOTHING prevents you from eating as much as you want as often as you want. And ‘THEY’ certainly don’t care, as long as “THEY” get their money…HONEY! Your health, both mental and physical, relies on YOU and only YOU. Take control of your life and commit to CHANGE. The ME-gan Lifestyle is not about ME ME ME, it’s about YOU YOU YOU! You are the most important thing in your life. Without you your loved ones will be left alone. Your spouse, children, grandchildren, etc., will have to learn to cope without you. Make the most important decision you’ve ever made in your life, and that is to put your health first, and let The ME-gan Lifestyle lead the way. Purchase your copy today, click here and be on your way to health and happiness in a matter of days! We all deserve the best in life. God did not put us on this earth to waste away, but rather to shine and flourish. With this said, I wish you all the best, and if I can help in just the least, then I have achieved my goal. Beeting my love into your hearts….